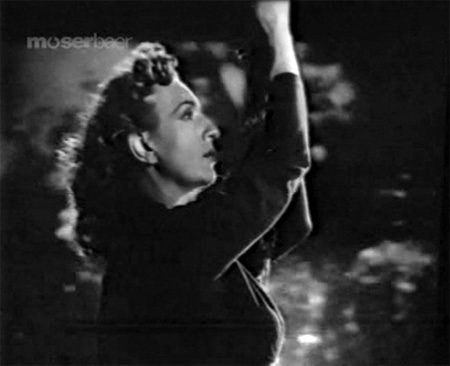 As one of the first—and still one of the few—women to specialize in onscreen kick-assery, it’s no secret that Fearless Nadia is one of my idols (and I’m not alone in that by any means). 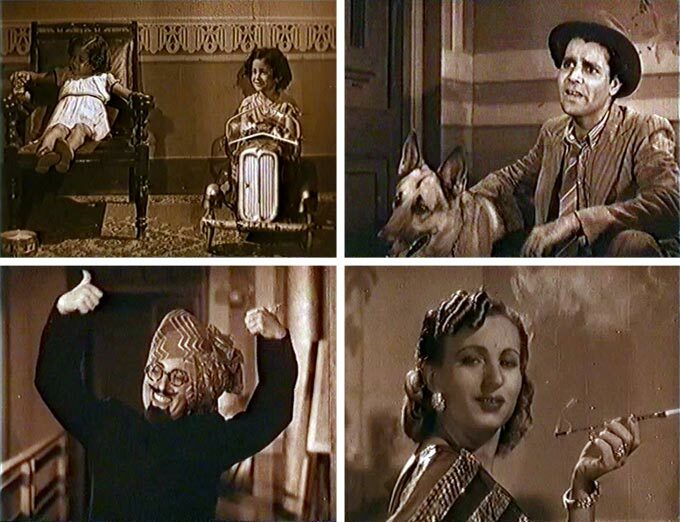 So when she is set down in the heart of the Dark Continent with ooga-booga natives, pith-helmeted villains, handsome big game hunter John Cawas, and a loyal and clever lion named Shankar, the little African heart of this Memsaab goes pitter-patter. It’s also The Big Muscle Tussle month over at this site, where I am a rather unproductive member but whose other more participatory writers I cannot recommend highly enough. There is quite a lot of muscle on display in this, and not all of it belongs to Nadia! I am sure no regular reader of these pages will have any trouble imagining my great joy at receiving this treasure from my new friend Shalini. Shammi + Wadia Brothers + Babubhai Mistry—it’s like a miracle! 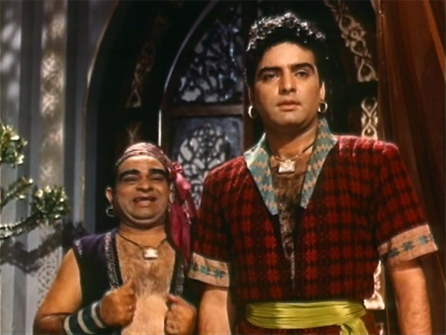 Add in Shashikala as Shammi’s heroine, and the redoubtable Kuldip Kaur (dictionaries should all have her picture next to the word “haughty”), plus a hunchback, a band of gypsies, and royal intrigue!…words fail me. Really. And it doesn’t matter, because I couldn’t tell you honestly what the plot is, only that I love this film. LOVE. 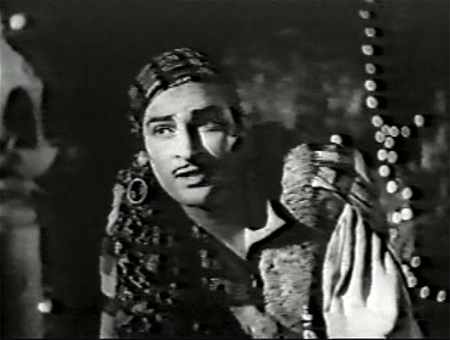 Of all the early Shammi films I’ve seen, this is the first one in which he actually pretty much resembles the Shammi of his heyday. He looks like he’s having a ball—and why not? It’s oodles of swashbuckling fun. 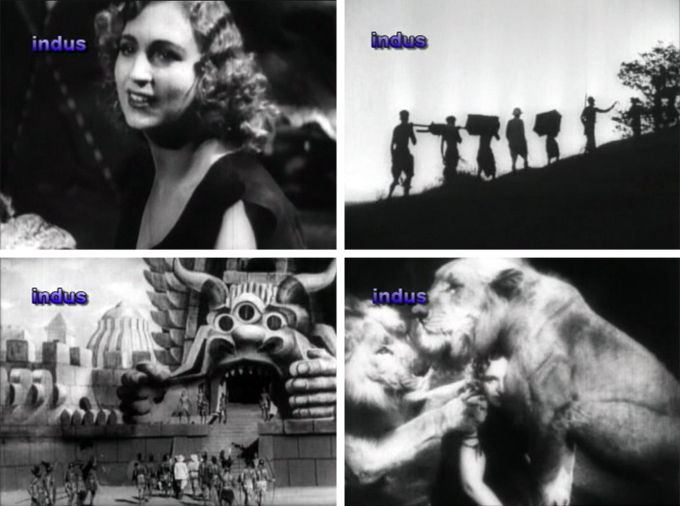 There are only a few things that I will watch without subtitles when they aren’t available in subtitled format: early Shammi films, really really old films (from the 30s, for example), old B-movies (if Helen and Dara Singh are in them), and—Fearless Nadia. Imagine if you can the great joy I felt at finding this Nadia film on VCD. Thanks much Moserbaer! In 1953 Nadia would have been 45 years old and she’s paired with an equally older John Cawas. But of course young romance is not the point of a Nadia film! Nadia herself is, and she’s in great form here still: swinging through trees, riding on elephants, diving off cliffs and punching bad guys. This is all accomplished against a backdrop of outdoor jungle scenery and indoor cracktastic madness courtesy of Babubhai Mistry. Our brave sibling trio Paras, Roopa and Tipu have entered the cracktastic lair of Mayanagari, a sorceress who owns the magic stone called Parasmani, which can restore the dead to life. Paras has promised to bring it back to his King so that he can marry the Rajkumari. Mayanagari is smitten by our handsome hero, but throws him in the dungeon when he insults her. She is really displeased when Roopa shows up looking for him too! What’s not to love in a film with a title screen like this? Not much! The hero—Mahipal—is a bit of a girl, but luckily the actual girls in it are badass enough to make up for him.